Historically this was the original Postmaster house, extremely well positioned up on the hill to easily see the sailing boats coming up the river. Art deco/retro style kiwi bach with panoramic views across the estuary, 3 minute walk away, river, large recreational park with brand new pump track 2 minutes walk away (for ages 2-65) and the Ranges. Modern, functional kitchen and bathroom (separate toilet, shower over bath and instant hot water), dining room with sunporch off one side and sheltered deck caters to the sun for you to relax with other outdoor spots for lounging outside. Separate lounge/dining spaces work well. New interior decoration and brand new carpet throughout, good sized bedrooms. Flat, large section makes it easy to play and ride bikes. Gate over driveway and deck. Beautiful views at night across most of the settlement. Puzzles, games, toys, recent editions of NZ House and Garden and Next to enjoy. Very experienced owners, great comments for 10+ years, lots of regulars. Walking distance to beach for swimming, kite surfing, paddle boarding, fishing, cafes, river, white baiting, boat club, bowling club, world class estuary and the playground/park suitable for all ages 3 minutes walk away. This has skate board ramps, tennis courts, petanque, walking track, kids play equipment for all ages and basketball hoops. Five minutes to Foxton for windmill, National Sound and Movie Museum, horse drawn tram (Sundays), pools, Awahou Boardwalk, Foxton murals, Seaview Gardens and the Flax Museum. Golf club, race course, nearby with Owlcatraz in Shannon (ShanFrancisco) and great shopping in Palmerston North city is only 35 mins drive. Owners live within 30 minutes of property. Smoking allowed outside only. Discount for stays of 5 days or longer. Linen can be provided for overseas. Stay four nights Monday - Thursday (not school holidays or public holidays), for $450 for up to six people or $395 for three nights Monday through Thursday. This is a unique slice of historic Foxton Beach being home of the former postmaster who had the best views to see the boats and mail come into the settlement. It's a warm house, well insulated and isn't damp. It's very comfortable to relax in, and is so close to the various attractions. Great big flat section for kids to run around on. This property has one of the best overall views of the general Foxton Beach area as you can see 360% of the settlement. View to the beach from the lounge and across all of the settlement. Stunning views to the Tararua ranges. To the Manawatu river and estaury very close to the bach. Nice tidy bach, close to the beach, owners very helpful when I had to unexpectedly change plans. Thanks for choosing to stay with us. Left bach lovely and clean, would recommend. We had a great relaxing time and the owner was very helpful. The elevated position of the house gave a good view of the estuary and surrounding area. A great place to come to if you're in to bird-watching. Thanks for staying, yes is an ideal base to watch the birds at the estuary. Appreciated you leaving the bach clean and tidy after your stay. Many thanks. Glad to get away and property was fine except for hot water! Glad to get away and property was fine except for hot water! The hot water is supplied by gas cylinders we turned them on when we arrived and hot water was fine. Next morning no hot water!! Being a fix it person tried to sort to no avail........ sent email to owner but so far no answer. Hot water should never be an issue. Do not recommend this property. Glad to get away and property was fine except for hot water! The hot water is supplied by gas cylinders we turned them on when we arrived and hot water was fine. Next morning no hot water!! Being a fix it person tried to sort to no avail........ sent email to owner but so far no answer. Hot water should never be an issue. We left early as we just wanted to go home. 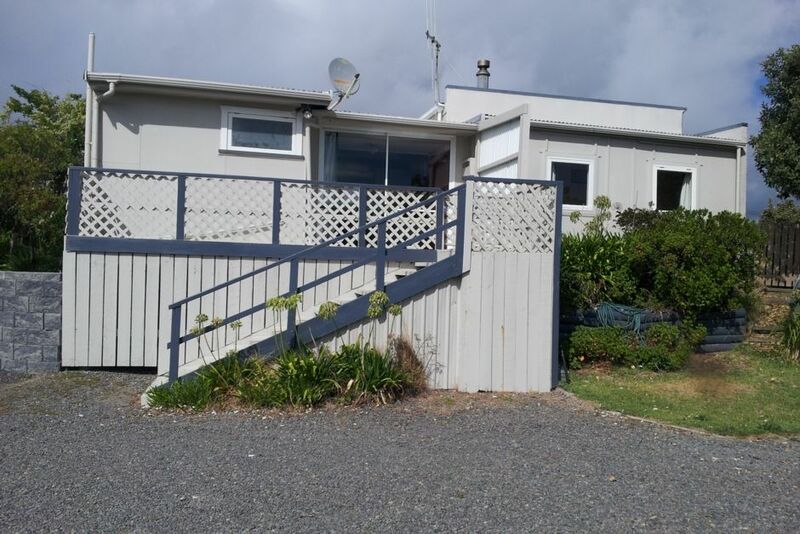 extremely well positioned high on the hill to easily see the boats and activities on the river and has panoramic views across the estuary, river, large recreational park and the Ranges.has a great view to the estuary. Walking distance to beach for swimming, kite surfing, stand up paddle boarding, fishing, cafes, takeaway shops, river for sailing, white baiting (in season) or fishing, boat club, bowling club, world class estuary minutes away and the playground/park & pump track suitable for all ages 3 minutes walk away. Watch your kids while viewing from the lounge window, age dependent of course! This has skate board ramps, tennis courts, petanque, walking track, kids play equipment for all ages and basketball hoops. Bring your golf clubs for a round of golf nearby at Foxton. Close to the race course. Five minutes to the historical town of Foxton where you will find the working flour windmill, National Sound and Movie Museum, Dutch museum, wake board park, one of a handful in NZ, horse drawn tram (Sundays), pools, Awahou Boardwalk, Foxton murals, Seaview Gardens and the Flax Museum. Nearby is Owlcatraz in Shannon (ShanFrancisco) and great shopping while Palmerston North city is only 35 mins drive. Retail outlet shops in nearby Otaki. Annual fishing competition and Fair at Easter weekend. Others stay for motor racing and equestrian events at Manfield and Foxton.